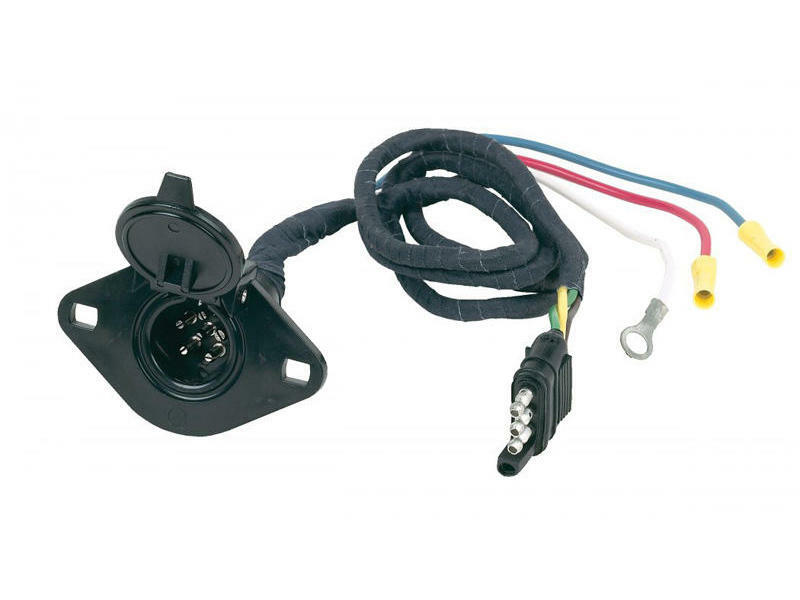 The 6-Way Round Pin Plastic Connector is used to convert any trailer wiring component, T-connector or Tail Light Converter with a 4-Way Flat Car End Connector to a 6-Way Round Connector. 6-way socket is wired with industry standard color coded wires with the brake wire (blue) attached to the center pin. 48 inch harness.